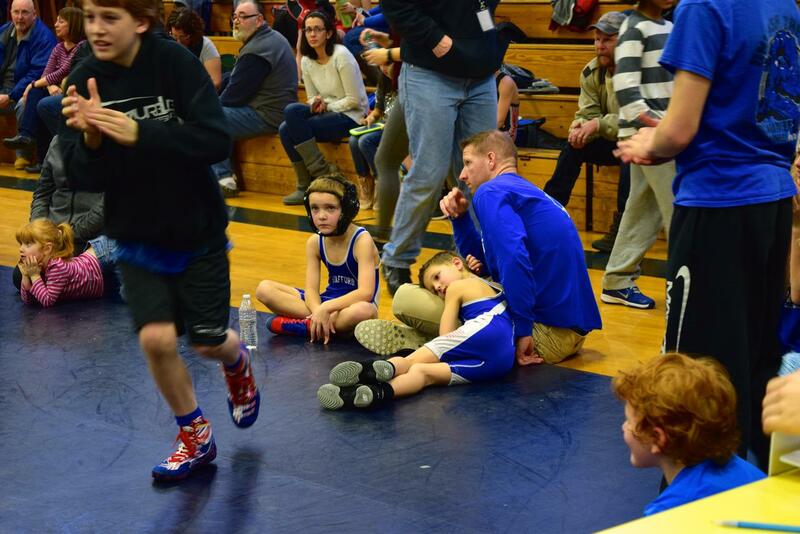 I went to Ethan’s wrestling tournament on Saturday and I was too late to watch his first match in which he lost…..I arrived just in time to see this bleak scene. I was able to sit by Ethan and try to cheer him up by saying things like, “Do you want a drink? Do you want a banana?” “I’m going to sit right here and not leave your side, E.” “Do you want me to rub your sore shoulder?” Although he didn’t want anything, I did finally get a few smiles out of him. I am of the opinion that, even as a mere spectator, wrestling is extremely draining! 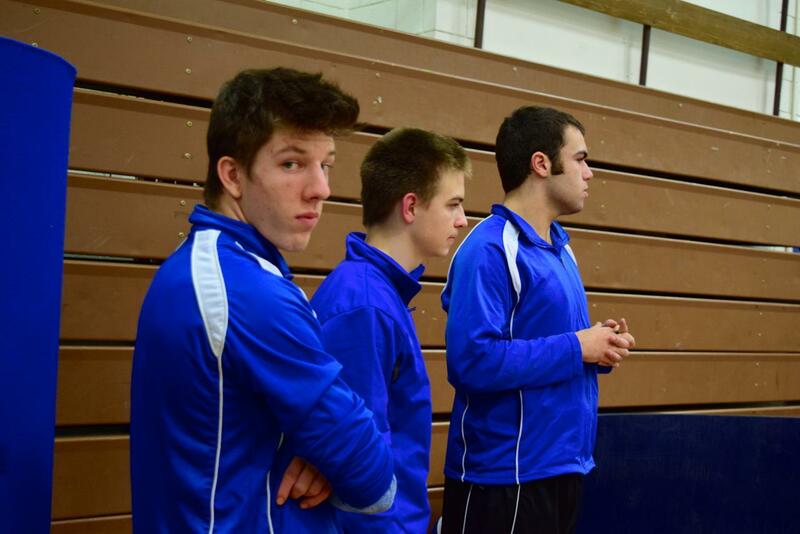 To anticipate the matches and then watch my own boy plus the other boys (which are also “my” boys) wrestle….to see them fight so very hard, get hurt, bleed, lose, win. It’s all quite exciting. I hate it in some ways. The gym is a bee hive of activity and so very loud, for instance. 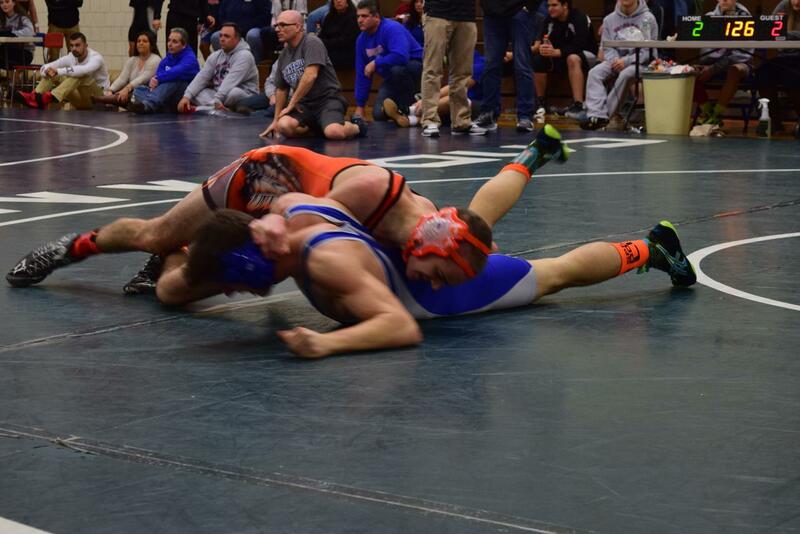 But it’s also a lot of fun and I’m always always impressed by the strength of every wrestler. Rich has someone tape each match and I noticed that Gage is always quite eager to watch himself right after he’s done with a match. 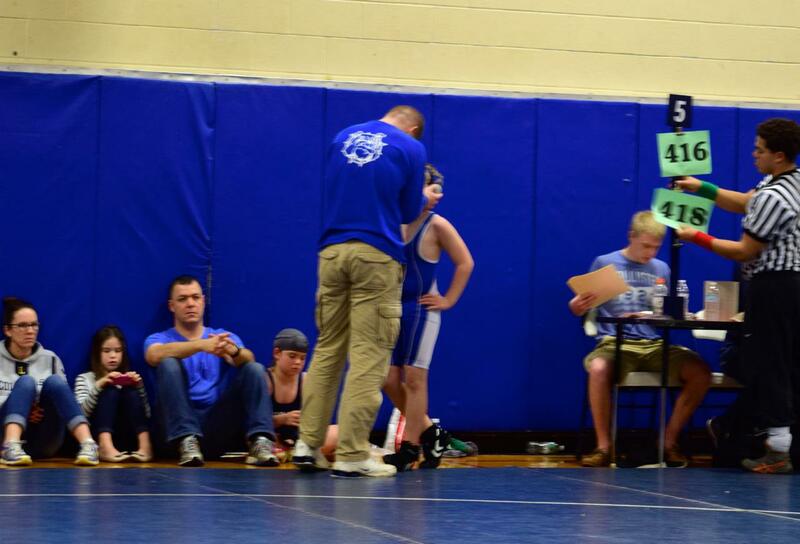 One of my wrestling mama-buddies is Nicole in the striped shirt (her son behind her is a great friend of Jacob and Ethan). 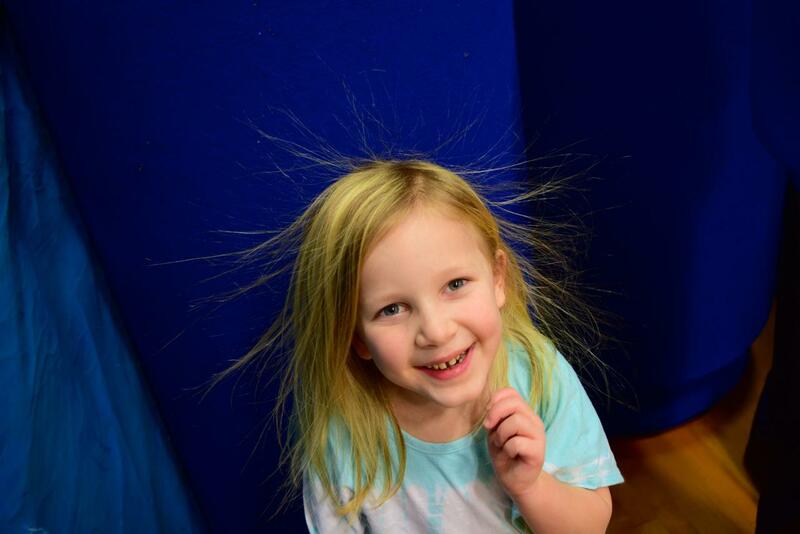 Sarah runs as wild as possible, plays with Seth and James (the other coach’s little boy) and this Saturday she had a silly situation with static charged hair. Grace is a team manager and keeps score with the book. 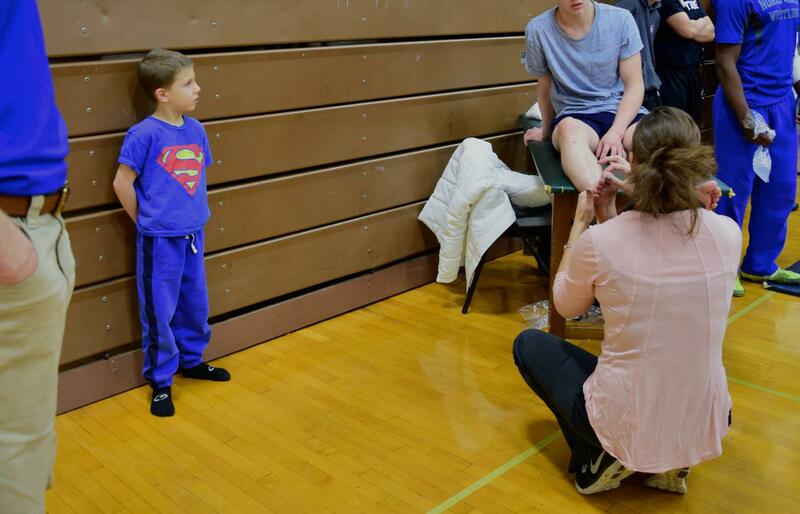 Seth took his shoes off so he could get on the wrestling mats as much as he could, got scolded for it several times, but he is like everyone’s little brother and they love him. I took this picture because he was actually standing still, watching a boy get his ankle examined by a trainer. He would silently look at what the trainer was doing and then look at the face of the boy. The only thing that scared me was that he might have gotten it into his head to think an injury would be really cool…like, it’s a sign of being a big-time athlete. Well, E had two forfeits to wait through and then low and behold, he was up against the very same guy who beat him badly the first match. But this time Ethan came very close to winning. He fought so so hard. As usual, I felt as if I were fighting along with him. Oh how painful it is to have them lose by only one point! But his dad was thrilled to see him come back and fight hard. Well, the next day was Seth’s turn. Finally he could be on the mats all the time he wanted. 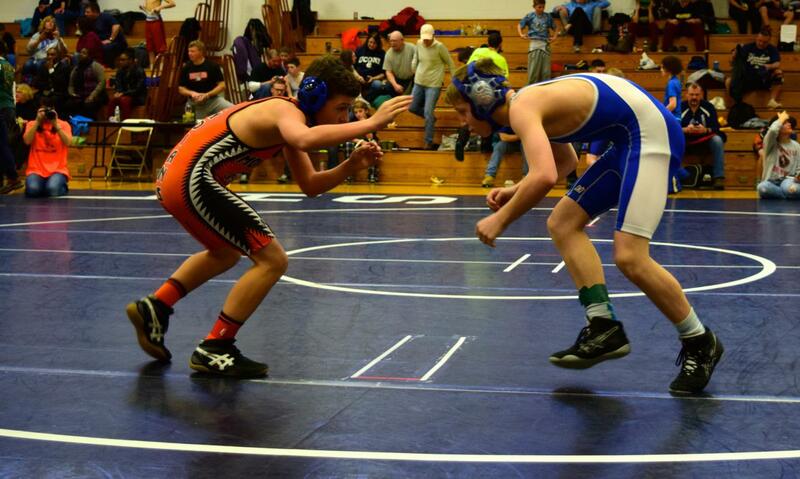 His first match was a loss and he got dumped on his head a few times. It was quite deflating for our boy Seth. But after resting on Dad for a little while, he very bravely wrestled three more times and won each time, receiving a 2nd place medal. 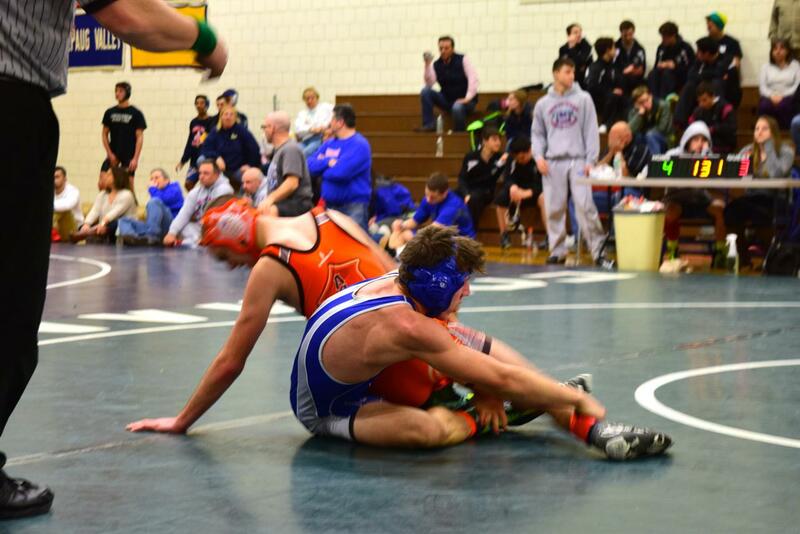 Seth working on pinning a boy. 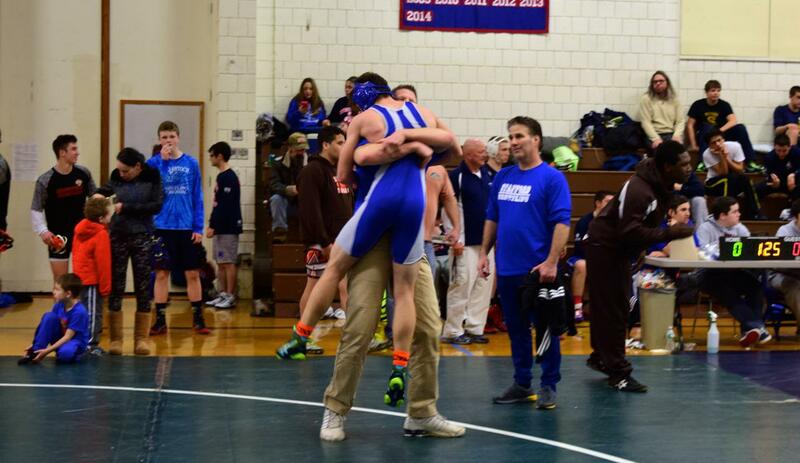 Caleb wrestled three times and lost each one…however, he was braver by the last match and was much improved. David wrestled twice and lost both, however he still received a third place medal because there were only four boys in his bracket. He wrestled much better than he did last year and was exciting to watch. David smiling because he’s getting away from Mom’s camera. My three younger boys only have one more tournament to be in but Ethan will have several more opportunities to wrestle before the High School season is over. 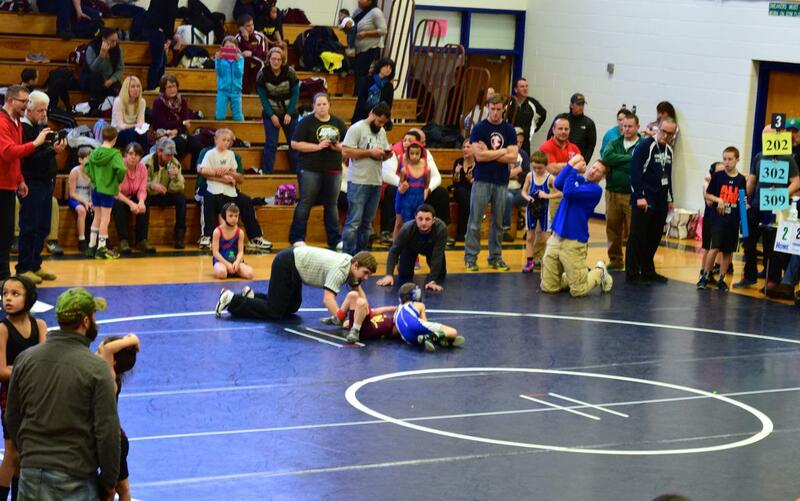 This entry was posted in life with boys and tagged Ethan, wrestling by Shanda. Bookmark the permalink. I don’t envy you. I think this would be hard for me to watch, but you must be so proud. I share your pain and joy. 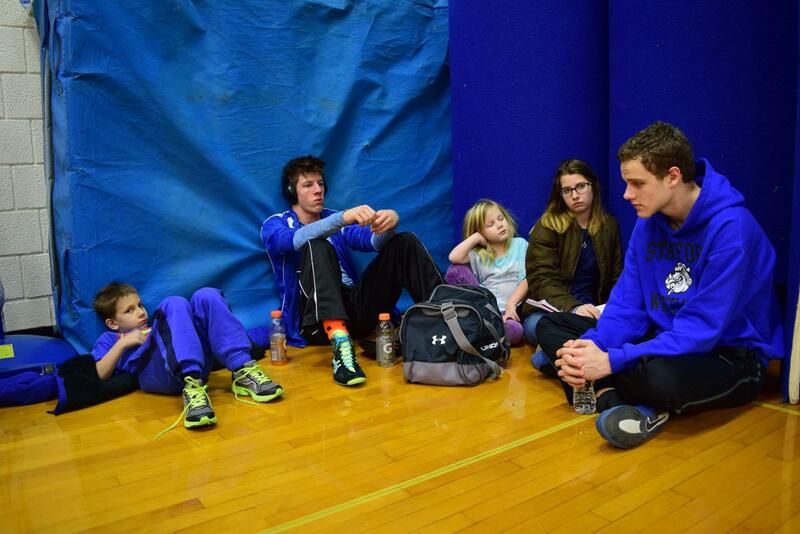 My son too is a wrestler as were his cousins and my brother (many years ago) – ’tis a long season. My son just had a 2-day tournament. It is grueling but amazing at the same time. As you so aptly wrote, all these athletes are so very dedicated to their sport and there is a family-spirit on a wrestling team. Despite the hard work and the ups and downs my son loves it. How is your Sarah? How are you? How is Sarah doing after her hospital procedure. Thinking about you. Thinking about you and your family too. I hope all went well with Sarah’s surgery. Been wondering about Sarah! Hope you all are doing well!